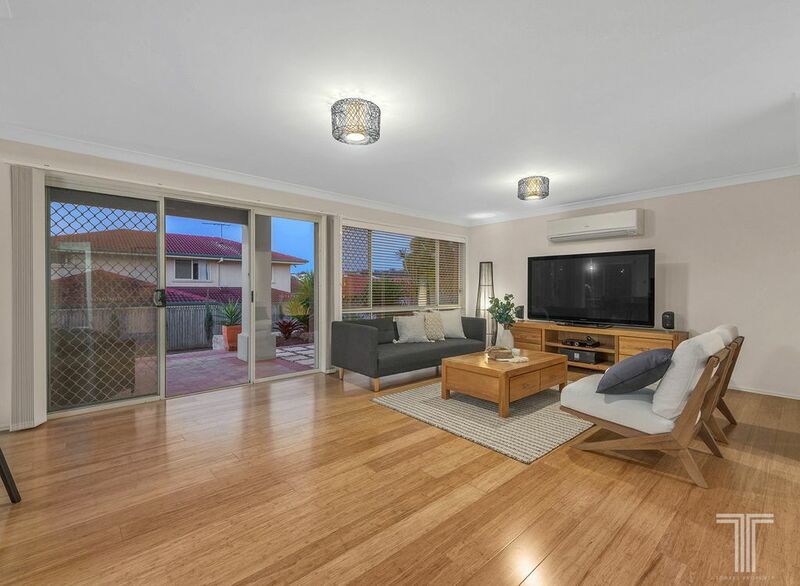 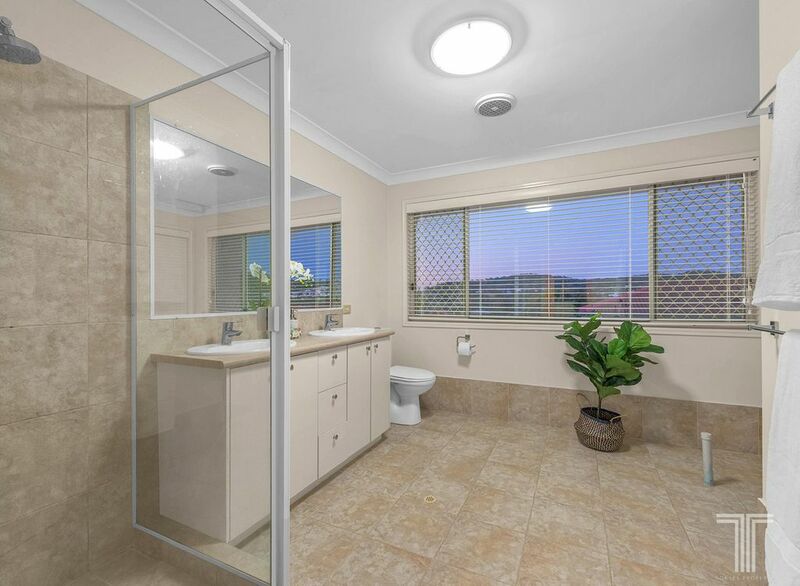 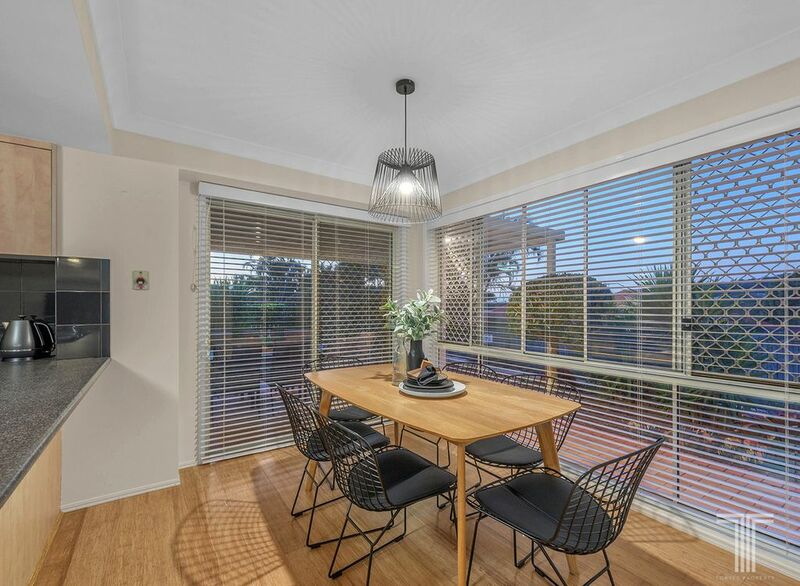 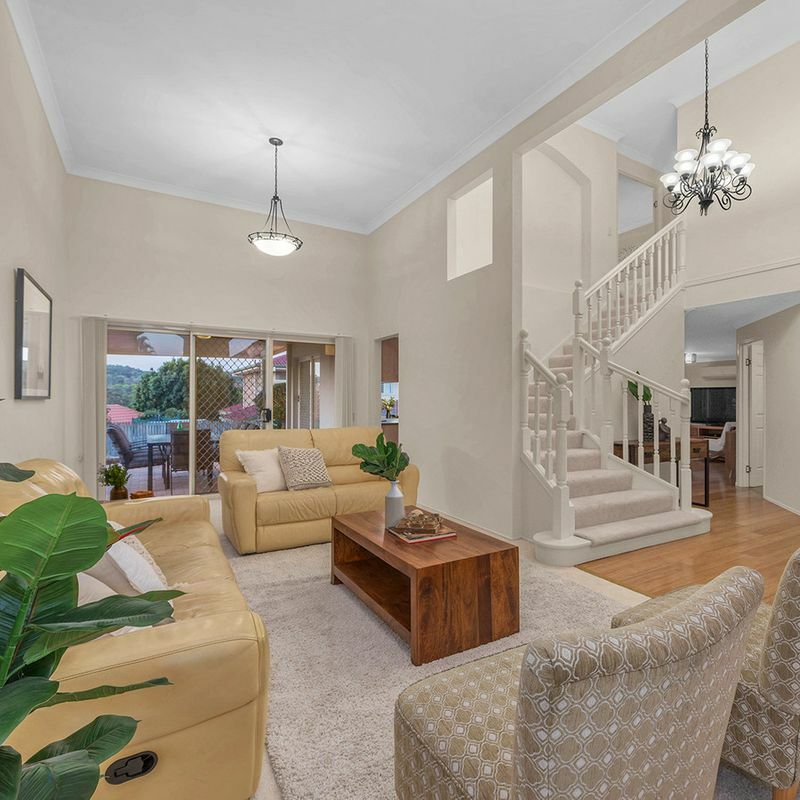 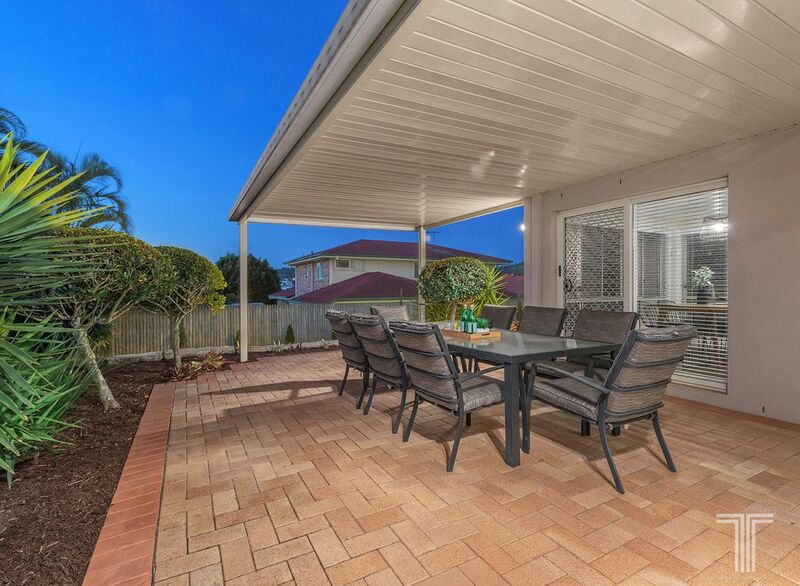 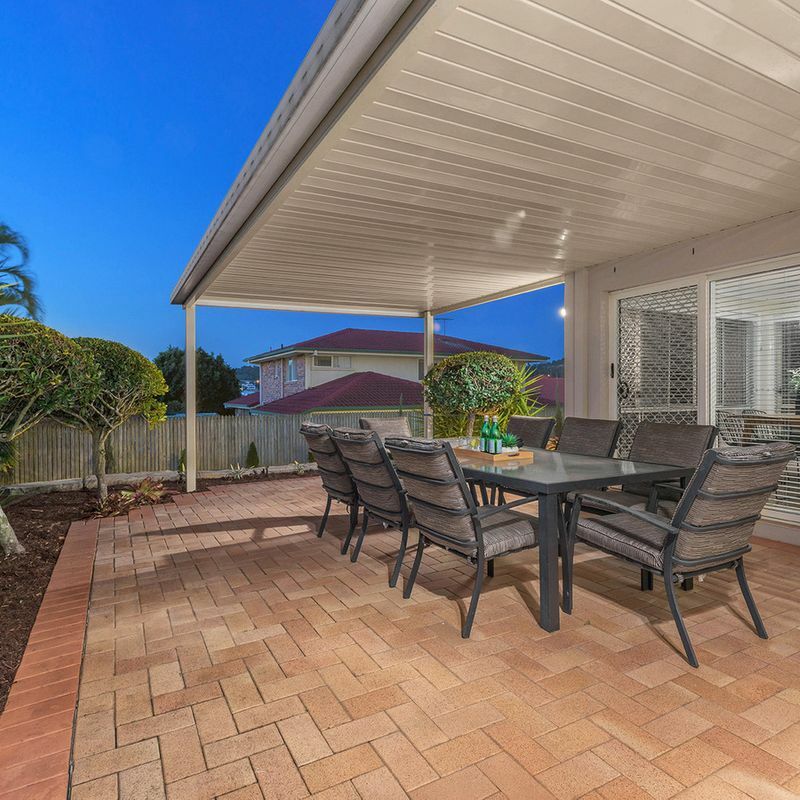 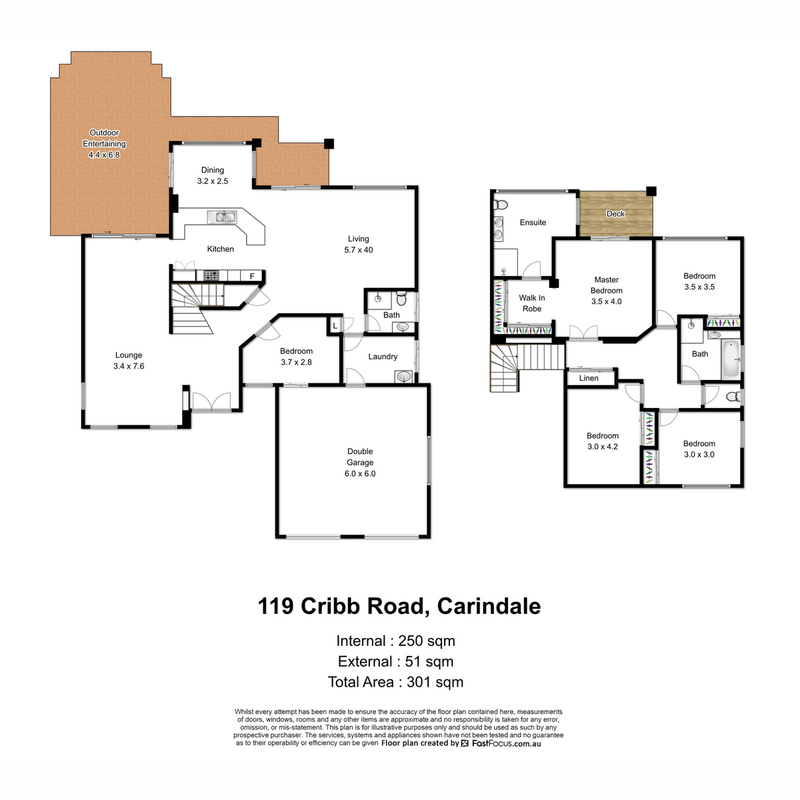 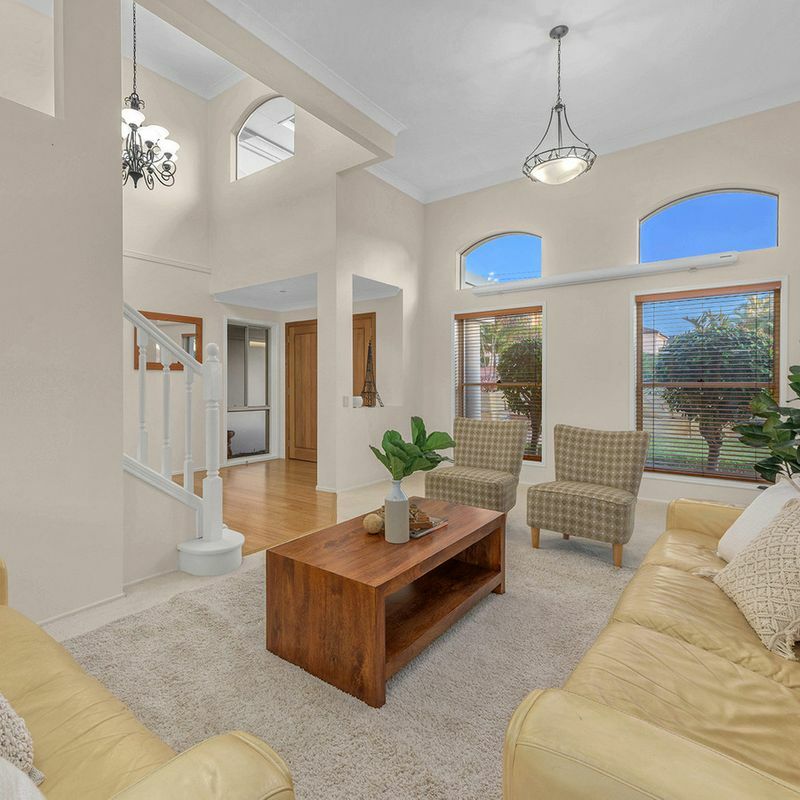 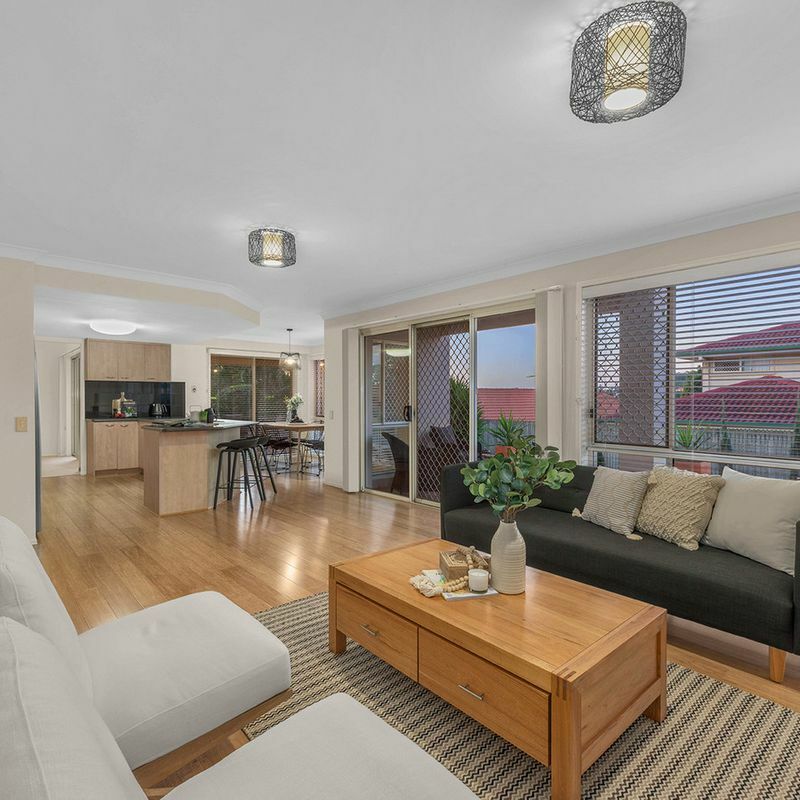 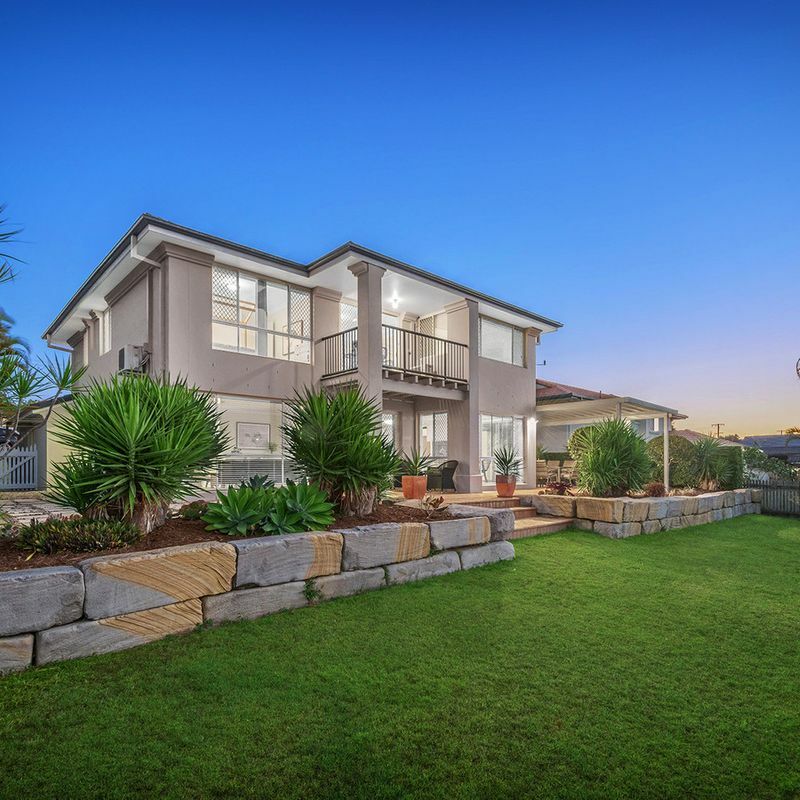 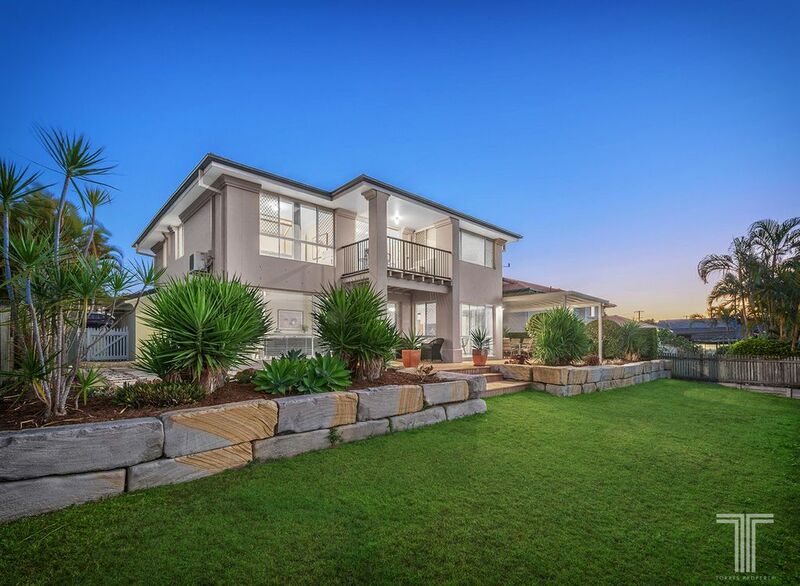 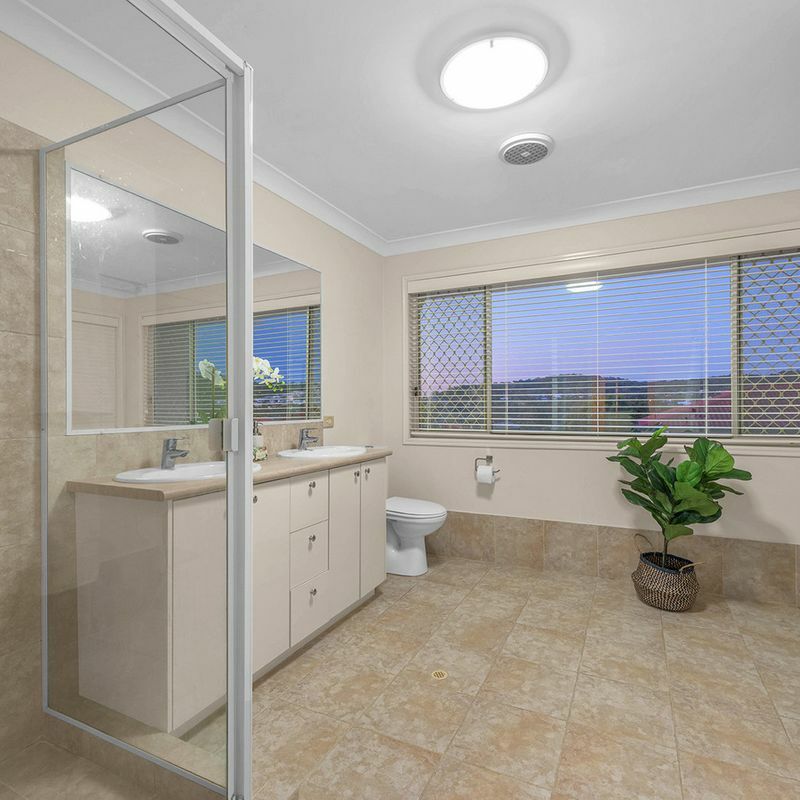 Immaculately presented and positioned within an exclusive pocket of Carindale. 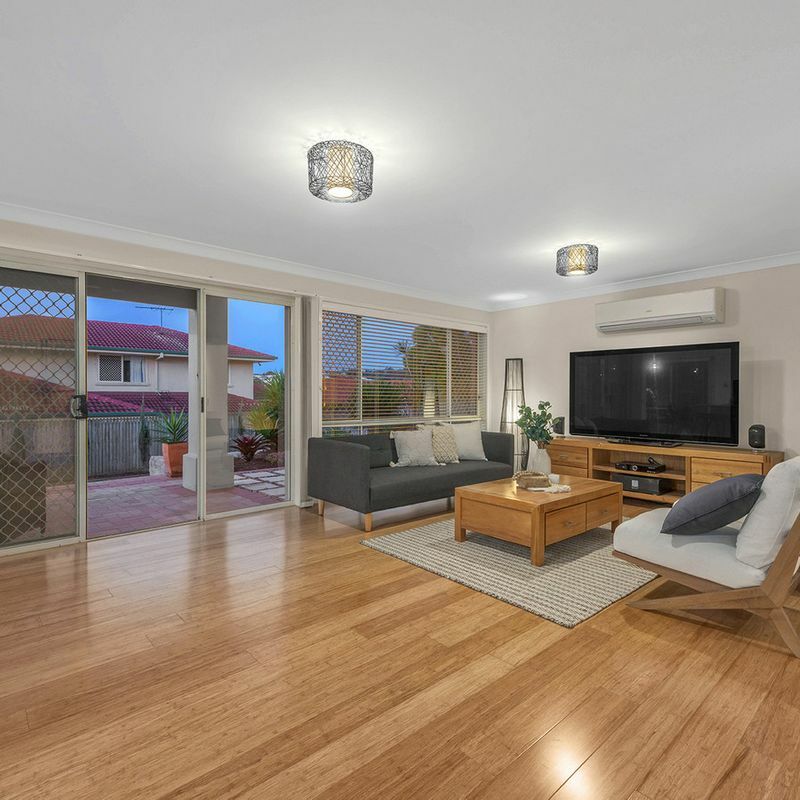 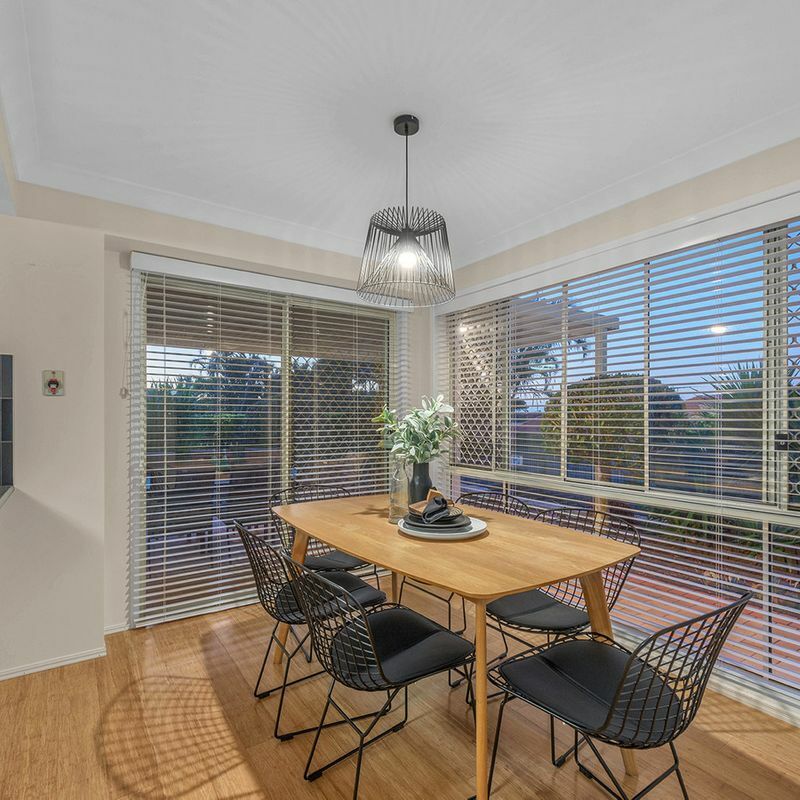 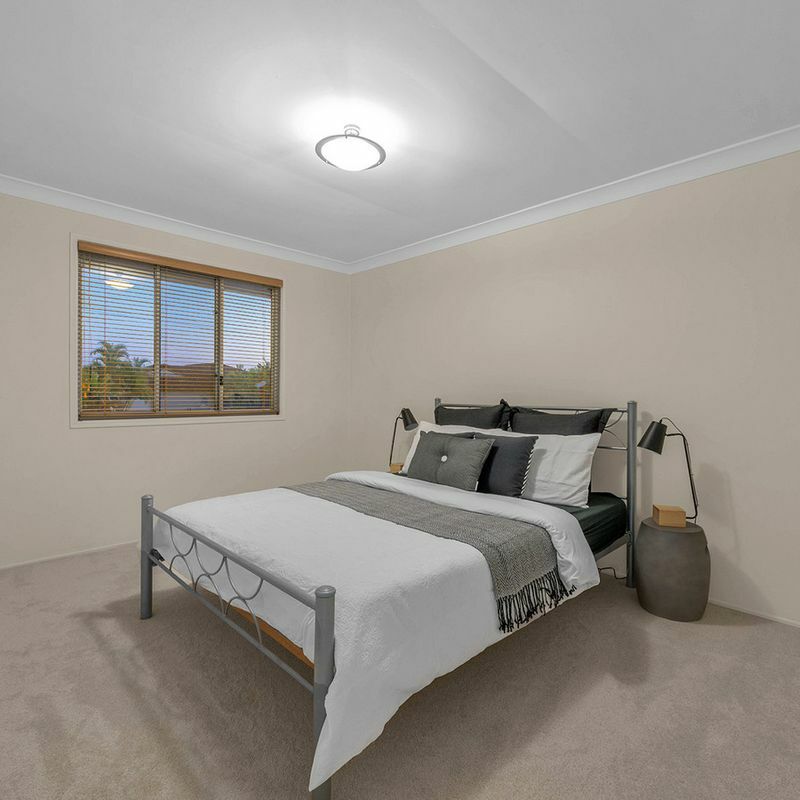 Situated within the highly desired catchment of Mansfield State High School and moments from Citipointe College, 119 Cribb Road is an absolute must to inspect. 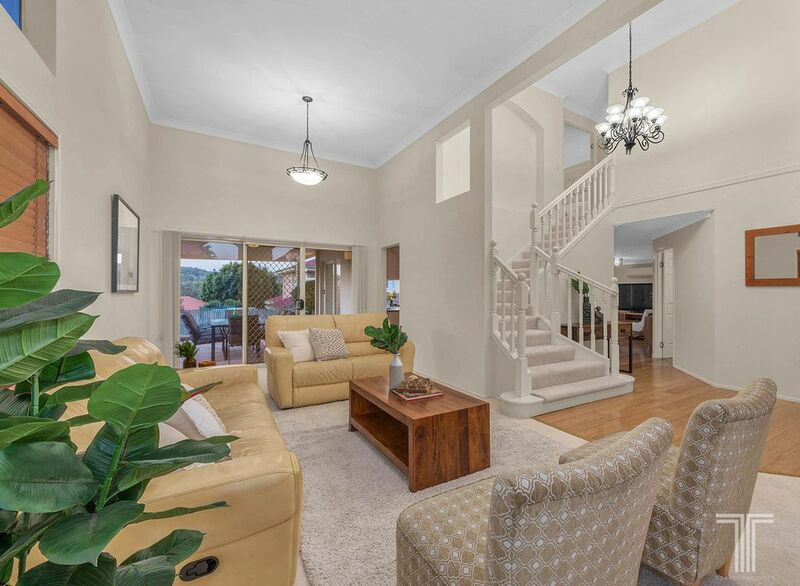 This residence offers a generous 250m2 of internal living space across two levels. 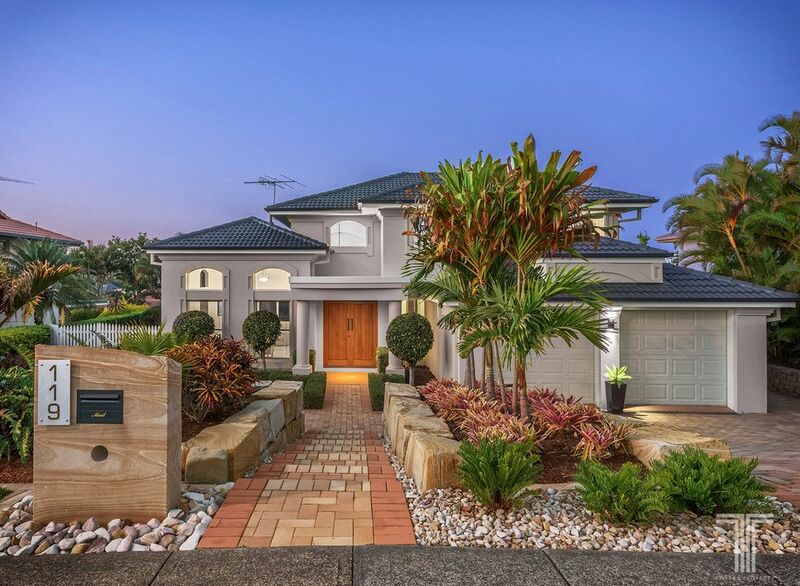 Beyond the dual timber front doors, a superbly lit foyer with an open stairway and bamboo flooring sets the tone for the residence beyond. 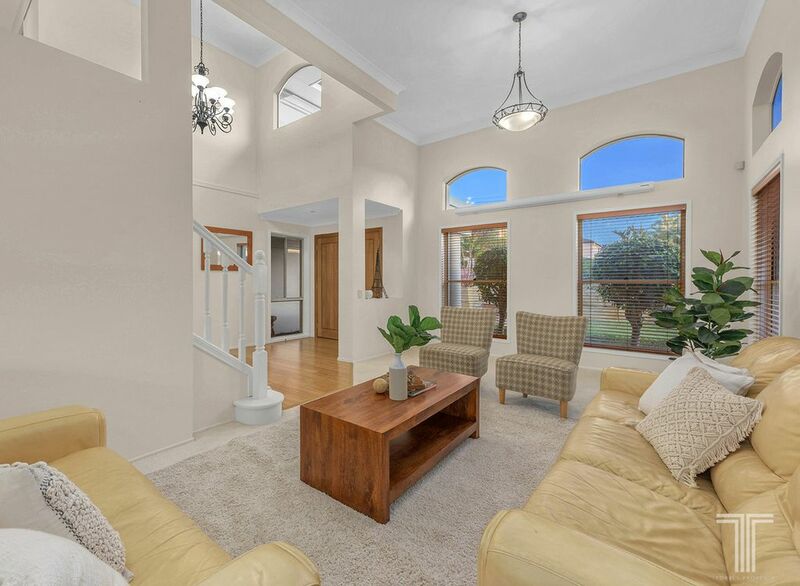 On the ground floor, a formal living area with new carpet is surrounded by soaring high ceilings, fabulous neutral tones and tall windows that invite light and refreshing breezes inside. 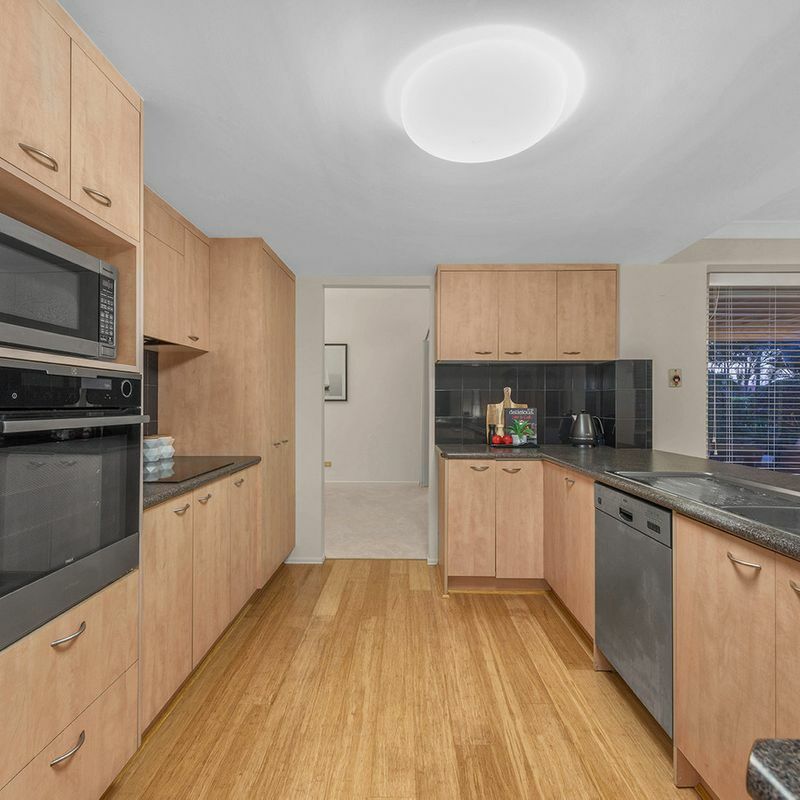 A modern kitchen surveys the open plan living and dining area, perfect for both the everyday and when entertaining. 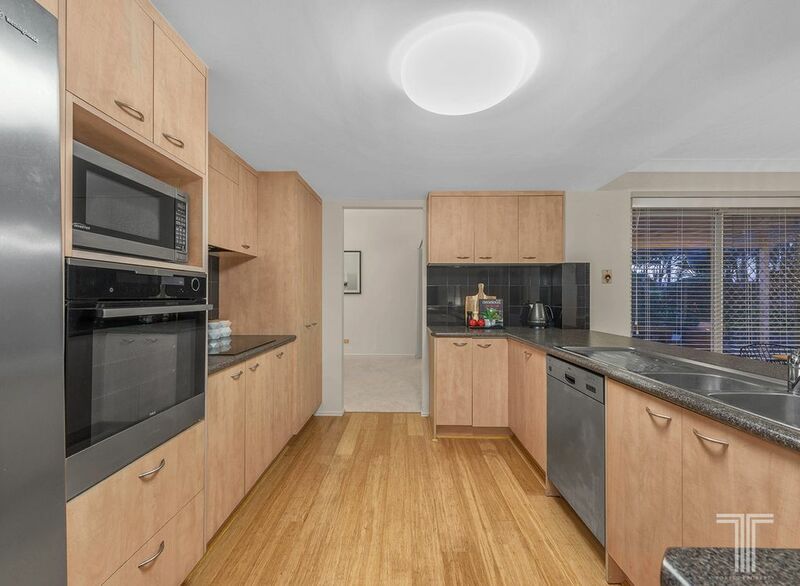 The chef of the home will love the kitchen with induction cooktop, Electrolux pyrolytic steam oven, plus a generous bench and storage space. 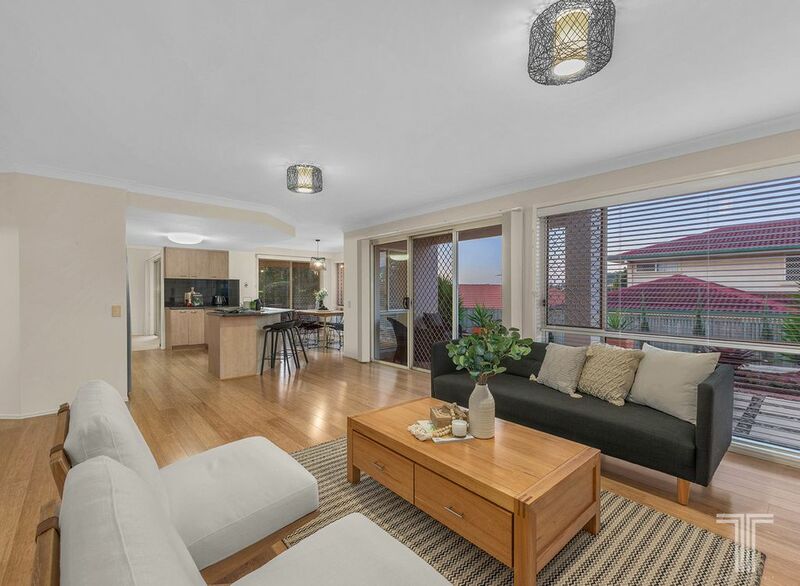 Sliding glass doors open from the living area to allow a seamless transition to alfresco dining on the covered patio, overlooking the manicured gardens and lawn. 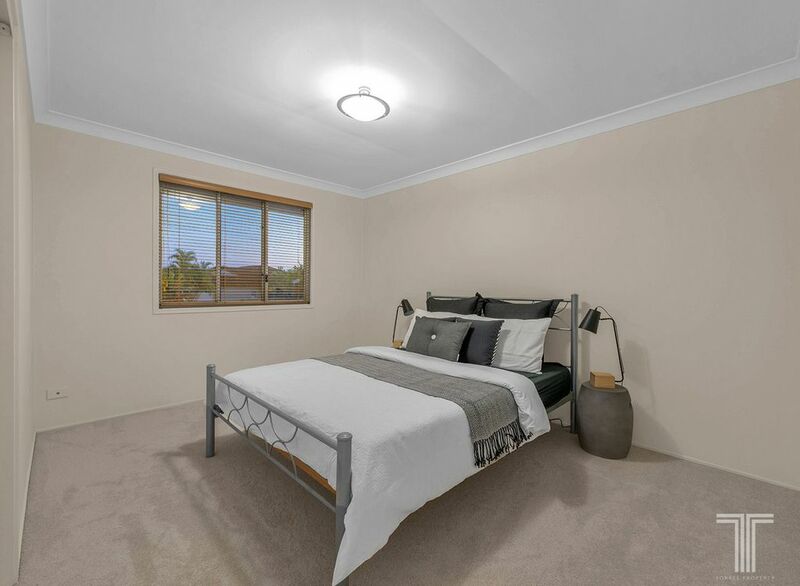 Completing the ground level is the 5th bedroom with bamboo flooring, positioned near the entrance it is alternatively the perfect study for the entrepreneur. 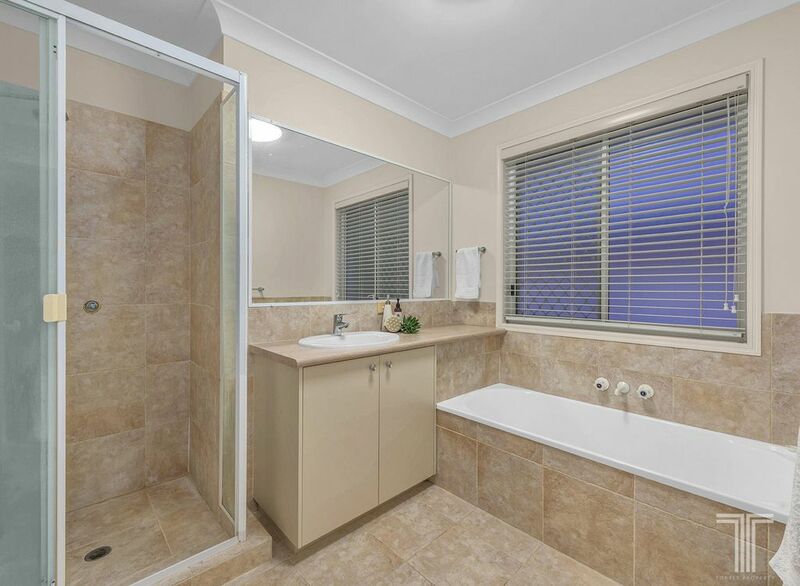 There is also a generous full bathroom and a separate laundry with outdoor access. 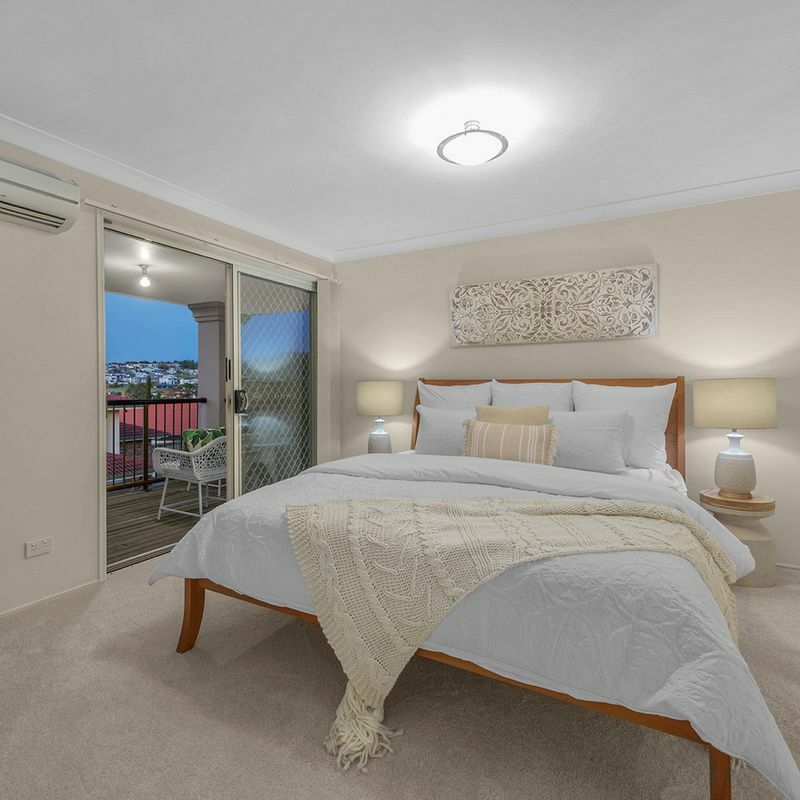 Upstairs provides the ultimate escape from the bustle below, featuring a stunning master suite with air conditioning, private ensuite and a peaceful balcony with suburban views. 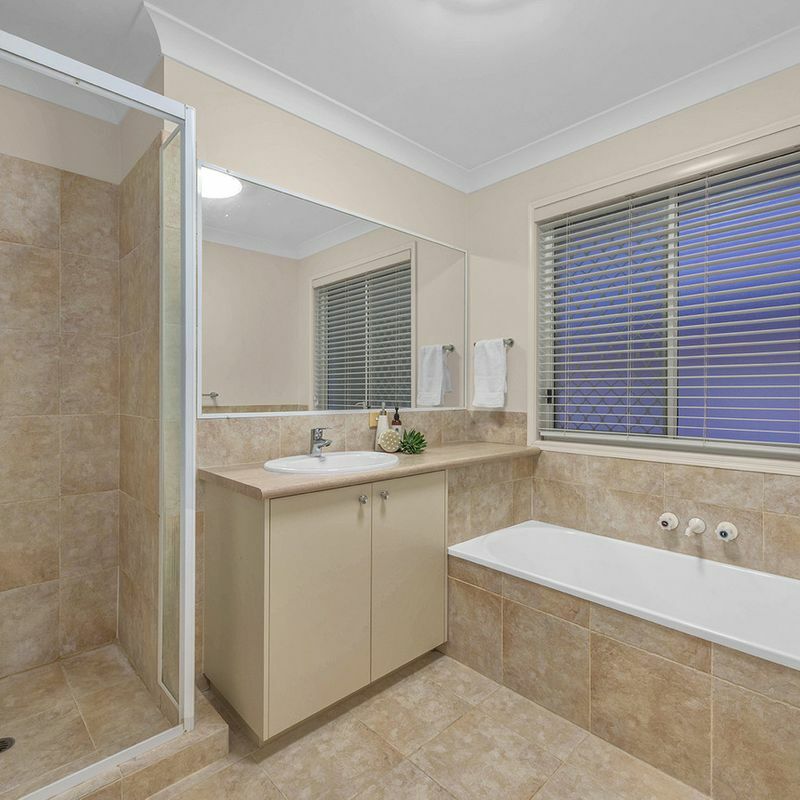 An additional three bedrooms accommodate the family flawlessly, all including built-in robes and are just steps from the main bathroom with bathtub. 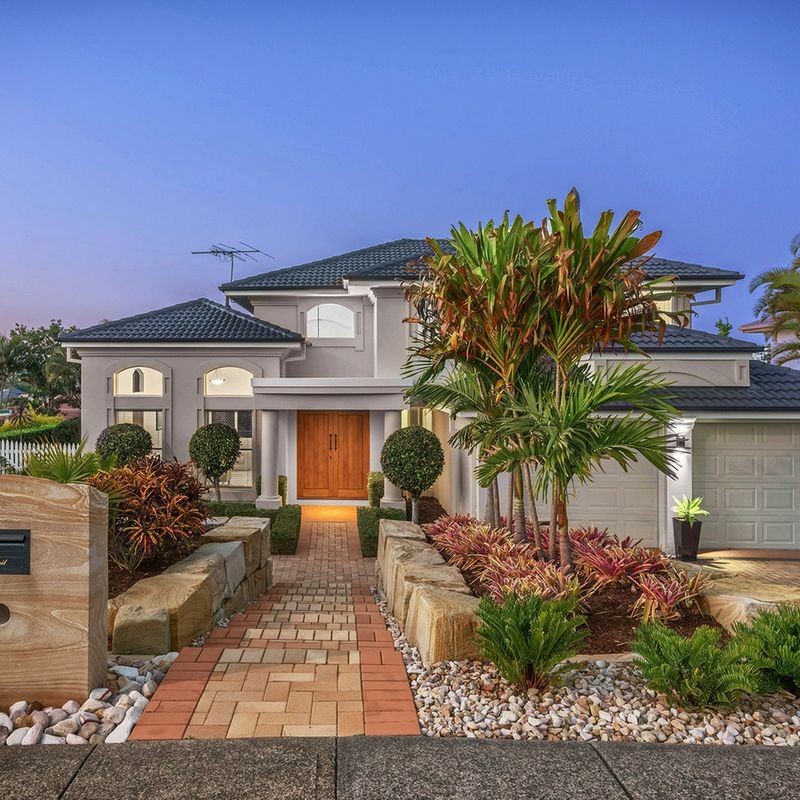 This exclusive enclave offers the most discerning families an abundance of lifestyle features including cafés and restaurants, shopping at Westfield Carindale, or a round of golf at the Pacific Golf Club. 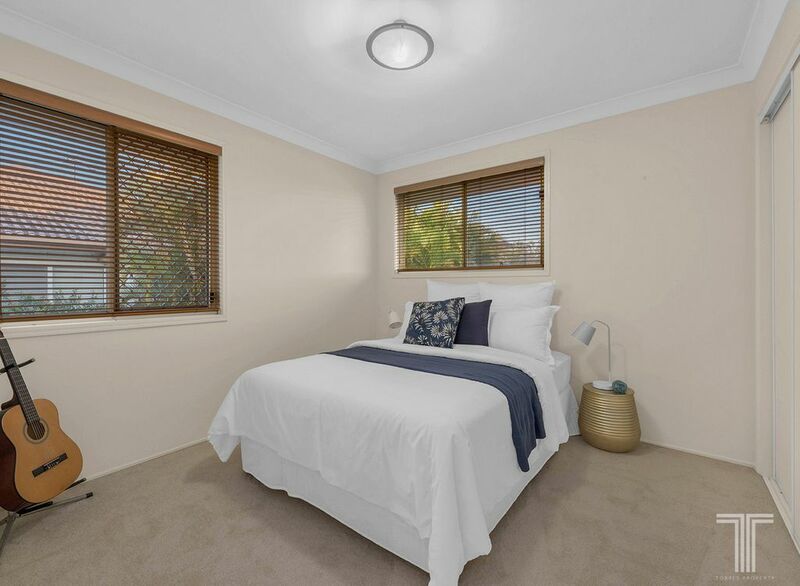 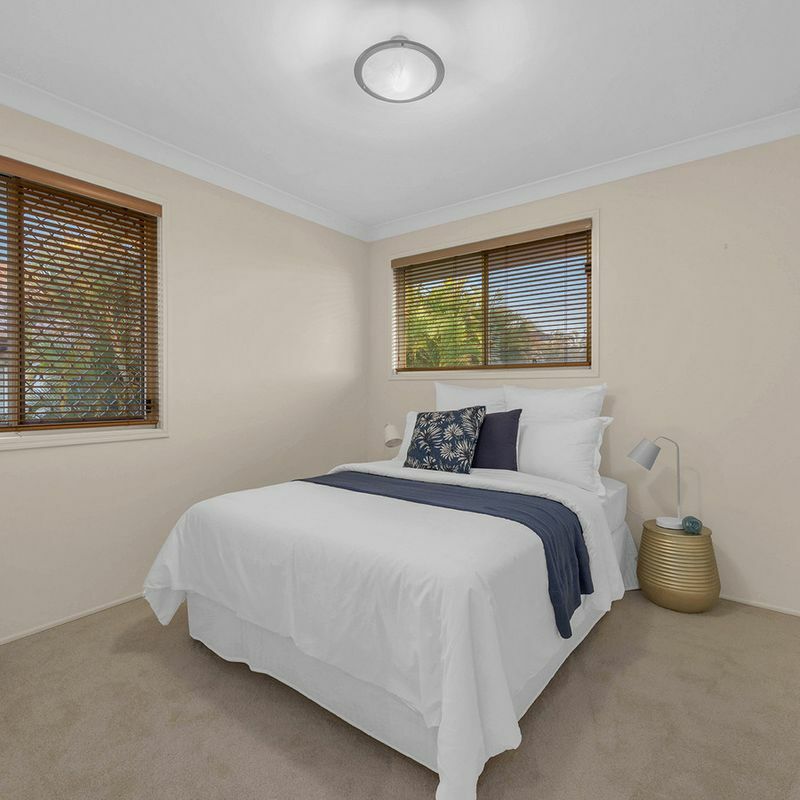 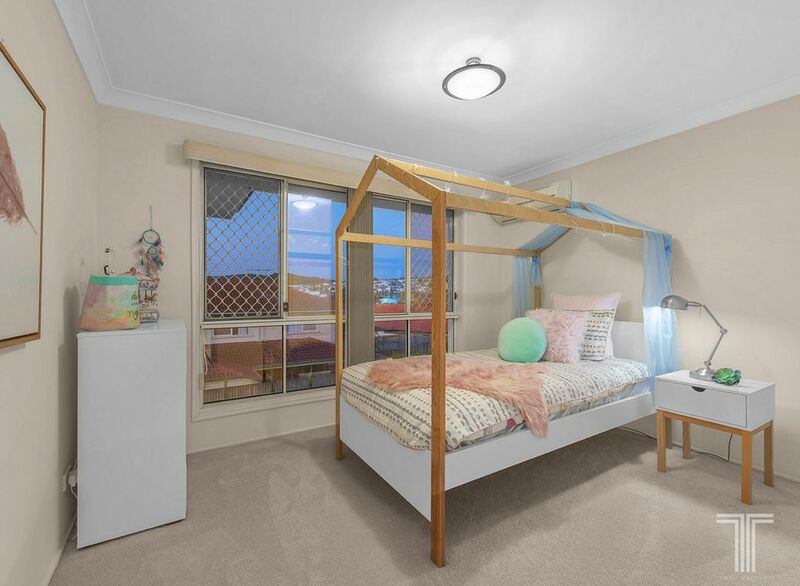 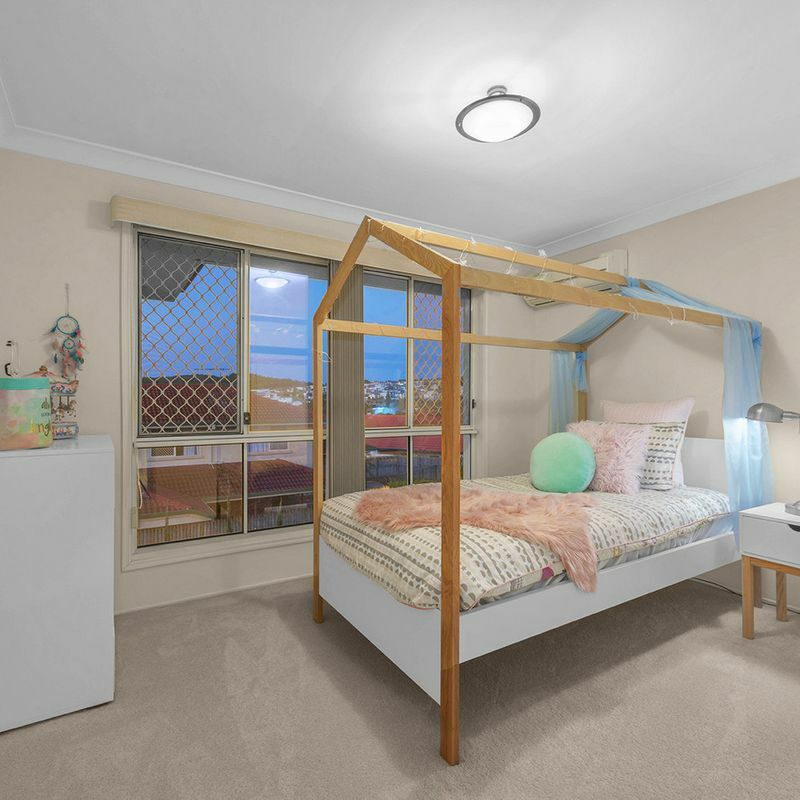 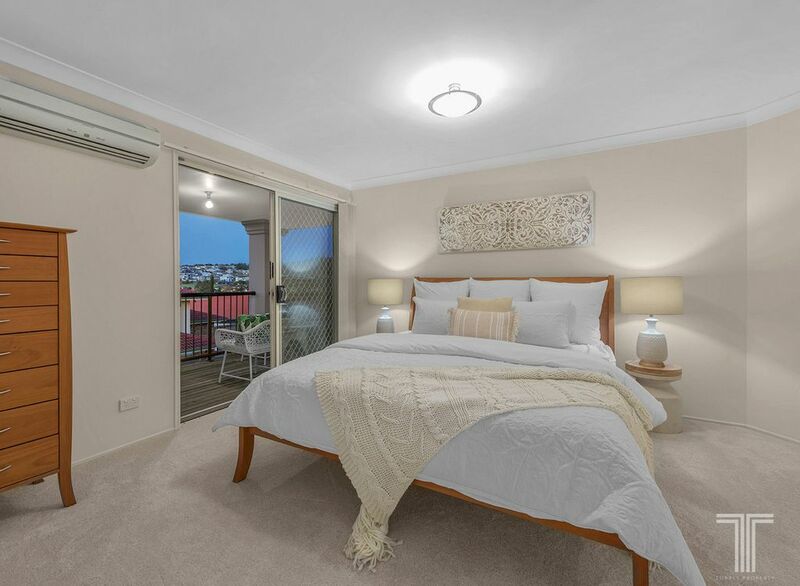 There is easy access to bus stops (route 200 & 201 Express to CBD) and this home is moments from the Gateway Motorway for those weekend getaways.